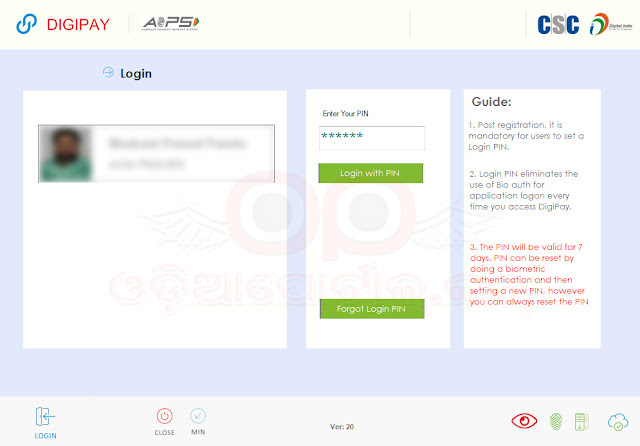 As you know, "DiGiPay" (formerly known as ApnaDhan) is a small piece of software for Microsoft Windows based on principles of AEPS or Aadhaar Enabled Payment System, which is developed by CSC e-Governance under Ministry of Electronics and Information Technology. With the help of this software registered CSC Operators (known as VLE) can do major banking services such as Cash Deposit, Cash Withdrawal, Point of Sale Transactions, Aadhaar Seeding to Bank Accounts, Money Transfer, Mini Statement at any corner of India. Especially in Rural areas, where daily banking nearly impossible. 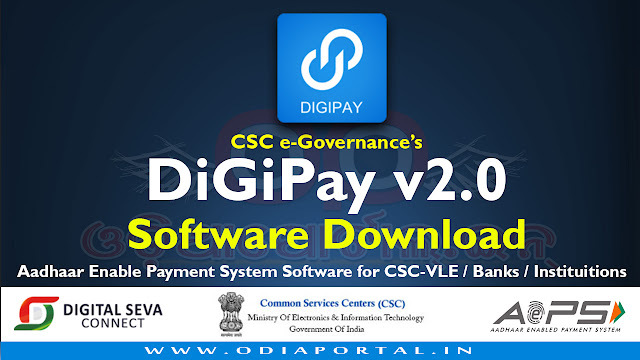 As you know, CSC has released new version of DigiPay today. Now, you can download and update your existing Digipay to v2.5. After Download, Please Extract the software to your desktop or any other folder. Now go to DIGIPAY previous installation folder and backup logs. Now, go to Control Panel and Uninstall previous version of DIGIPAY. After uninstall, Run downloaded DIGIPAY v2.0 from the folder. It will take few seconds. Now, Follow and fill details as per the instruction provided in the software. Open CSC e-Governance Folder from C Drive. Now open your Digipay Software.